Preparing for back stage is 1/2 the battle in preparing for competitions. “Where are the pins? Oh my gosh – hairspray – I know I packed it. Shoes – I have two left feet!” What a nightmare. If your organization skills for competition sound like the above comments, you probably are a procrastinator. I hate to admit it, but I’m a procrastinator too. I’ll pack the day before the event, and/or scramble the day of – to get everything into the car. I didn’t relieve how much of the organization went into getting ready for competition until I got out on my own. 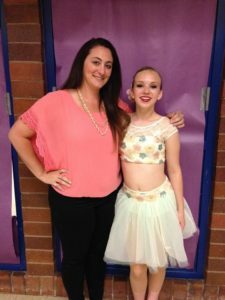 I think there is a progression that parents go through in working with their dancers. They come in as newbies, and gradually progress to diva managers. If you fall into the procrastinator category above, you are far from alone. Even the best diva mangers fail sometimes. I’ll pack the day before the event, and/or scramble the day of – to get everything into the car. At competitions, many times we have found our dressing room, half way across the school, or auditorium. Parents who are often caught in the middle, somewhere near the stands, are clueless where to put the bags. There aren’t any signs in front of the buildings that point to where you need to go. You need gofers, or scouts, to be in the facility before your team starts to arrive, just to locate all the doors, corridors and stair ways. They can then wait at the gates for when your team arrives, and help them to get to their dressing and staging areas. Parents are fine to use as gofers, but a couple older teens who don’t have youngest to prepare for the stage, will work just as well. You have to understand that your director and many of your instructors may not be there right when you get there. It could be the roads are jammed packed, or maybe it is because they are at the director meetings getting the 911 on the competition proceedings. Make sure your gofer or scouts are trustworthy and that their cell phones are on for you to contact them. They shouldn’t be text queens chatting with their friends and neglecting their duties. If you have to be in a meeting before completion, make sure you have an assistant teacher to help warm up your students, and to check their costumes. It’s okay to delegate to your assistants who have worked with you and your team. Uninformed people in the dressing rooms are a studio nightmare. They will, and can, give out a lot of false information. Maybe not knowingly, but “false information” none-the-less. Tempers can flare at the drop of a hat back stage. I always find that the student is generally calmer than the parent, 9 times out of 10. Parents, your kids need the input from their instructor’s right before going on stage. The instructor knows the dance the best, they understand the choreography, and their students trust them. You should too. Don’t be in the dressing rooms in front of your dancers talking drama right before a competition. Don’t attempt to make changes for an instructor, which includes costume changes. You can discuss changes afterwards, for the next event. That is acceptable to do – 100%. What is not acceptable is disrupting an already nervous team with changes that you have no authority to do. Afterwards, also allows your instructors / director the opportunity to state why something is the way it is. If you constantly are disruptive at competitions, or whining about everything – especially in the dressing rooms – know that it stresses everyone out. We call these types of whiners the “dressing room trolls”. The little bitty kids may need a parent or two around if Instructors don’t have assistants. The little ones need to be watched carefully, and a system developed to help them get from point A, to point B, in as quickly and easy a manner as possible. Your little ones might not understand why they have to bunch their lines together to practice. Talk to them about warm up rooms before they get to competitions. Have them hold hands when they enter the warm up room. Once they are in there, make sure you get them to a huddle together as fast as you can. Warm up rooms are puzzling to little bitty ones. There are generally many other teams in the warm up rooms that take up a lot of spacing, and it can be noisy. Your little ones might not understand why they have to bunch their lines together to practice. Talk to them about warm up rooms before they get to competitions. Older dancer, DO NOT need their parents in the room, unless that parent was asked to be there. The most important thing is to stretch out! Look over your lines, and nail those turns and combo sections. Parents your dancers need to be looking at the instructor before going on. Don’t become a “warm up troll”. Find your seat and make sure that you can be heard when they perform. Warm ups for older students should be a closed session. There is already enough distraction in the room to keep them busy for a long time. Some students don’t react well to other parents in the room either. This is your curtain call “all parents to the stands”. Ahhhhh.. I can’t stress enough that you need to have at least 4 copies of all your music. “Why?” One, to give to your assistant, just in case you don’t make it. Two are for your travel bag (a warm up CD and a performance CD for check in). The fourth one you should give to your top gofer. Don’t let your students over run your common sense when it comes to music either. It’s not a team decision – it’s more a, what is appropriate decision. Just because a song is popular doesn’t mean it is the right song for your team or solo performer. Truthfully, if the song is too popular you may be in for a shock when you get to competition. There are lists out there, of the most overly used songs on the internet. 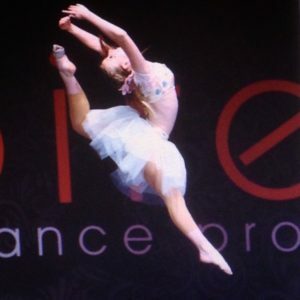 Check out the lists at www.DanceNet.com. Not all songs have that over use feel, but it doesn’t hurt to be careful on your selections. I was fortunate enough to work behind the screens during a lot of award ceremonies. We set up everything for awards, including all the trophies, we did lane running, transporting score sheets to the tally rooms, sweeping floors for acts, to crowning the dance champions. During my time at the University of Utah on the Crimson Line Dance Team, we were sponsors for the Utah Drill Championships. You work! You dance! You work some more! Did I say you will work? You will! If you are a returning dance champion and are asked to help with awards, be sure you understand that it could be very late before you are allowed to go home. It isn’t uncommon for awards to end at midnight, or 3 pm, or 5 pm, etc. Timing for awards isn’t an exact science either. Just because they say awards at 7:00 p.m., that doesn’t mean they won’t start awards earlier or later. If all the scores are tallied, and the competition staff is ready, they may go ahead and start the awards ceremony, to get people home earlier. It is fair when you consider that you might not get out until 10 or 12 p.m. It is nice to get away from competition to go somewhere to eat, but you need to make sure you are in contact with your instructor/director in case the event planners call an early awards ceremony. Don’t drive 30 miles away for food either. You should have your team on site early for awards, and they should sit together either in the stands , on stage, or on the gym floor. I understand that little girls get tired, and that a late awards ceremony is often hard on them. But this is what you have spent your hard earned dollars on. All the sweat and tears are for that moment. Your team needs you there. You are a team all the way from the first dance on the floor, to the awards ceremony. It’s not just your vacation, it’s everyone’s, so please be considerate. It is important to have that time with your dancer, and to help him, or her, to let down after an event. Let the activities of the events wash over. Win or lose, everyone needs down time to recoup, relax, and just breath. Hopefully you have something planned that is fun for your dancer and family members who also attend the competitions. A motel with a pool is a great way for the family to let down. Those who have to travel all day and night may not have that luxury – but hopefully you will plan down time once you arrive home. Spend time with your dancer doing things that aren’t dance related, even if it is just a movie and popcorn. Even dancers who win can have a low period after a competition. They have been working at a high pace with their performance and now all of a sudden its stopped. That is similar to hitting a wall. I’ve seen solo winners not return to competition because they didn’t adjust to the let down time well. They weren’t able to come back up to the level of performance that helped them win. Even dancers who win can have a low period after a competition. Losing doesn’t have to be bad either. The best perspective is one that helps a dancer learn to compete against themselves. What others are doing really isn’t of concern, as much as knowing that they have made progress in their own studies. So winning isn’t everything – sometimes it is the end for some dancers. It’s high stress, I understand. Well rounded dancers need other outlets to focus on. If all they do is focus on dance, day- in and day-out, they might not be maturing emotionally and socially as they need to be. They can carry those negative traits into adulthood. Take the time to recoup, you are worth it!